Leading the way in Software Development, Point-of-Sale, and Systems Support. We have developers and support staff to help you with your software development and systems support. From large Microsoft Dynamics AX2012 sites, to small retail Point-of-Sale systems, we are here to help you. 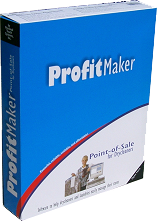 Our in-house products include Cleaners ProfitMaker, Timeclock Guard, iRentSmart, and others ->. For Drycleaners and Laundries needing a Point of Sale system to help manage their store. For any business that needs to get control of their timeclock. © 1983 - 2019 Personal Touch Systems, inc.